Scrabble Challenge #3: Can You Find the Game Killing Triple-Triple? 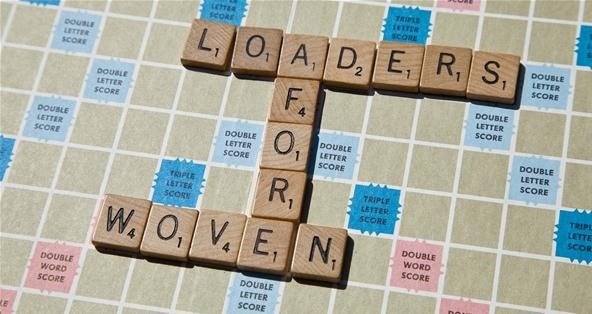 There are two types of Scrabble players in the world—those who enjoy it and those who love it. I definitely fall into the latter category. Unfortunately, most of my friends don't. I'm lucky to have a few who simply enjoy it from time to time—some are even standing on the edge of Scrabble geekdom, afraid to take that last step. Maybe someday. Still, me and a few of these companions get together for a friendly game of Scrabble each week. Sometimes we play other games, but it's mostly Scrabble, since that's what started the tradition. It could be anywhere from two players to four to eight divided into teams. But for the most part, I consider myself the real Scrabble geek of the bunch. That isn't to say I haven't lost. 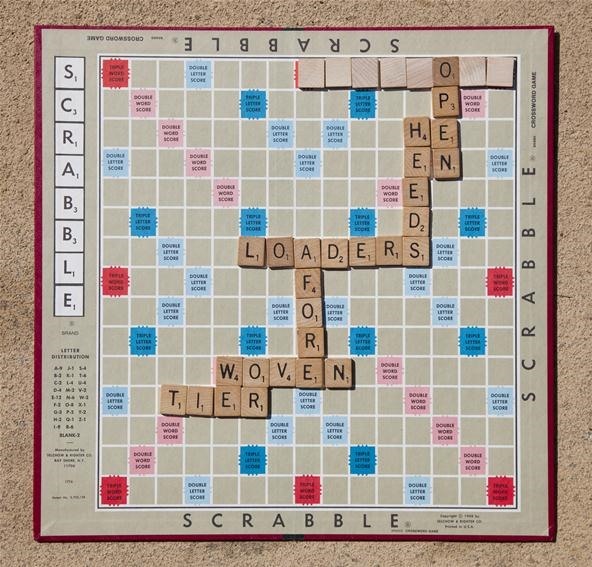 I play against some really intelligent people, and though they may not know all of the ins and outs of Scrabble gameplay, they know words. Last week, we had five players. Two were playing as a team. FORE was the first word played, then WOVEN. Your standard "I don't have anything better" type plays. Then it was the team's turn, who took advantage of the first word played, spelling out AFORE while hitting a bingo with LOADERS. Right of the bat, they were leading with 69 points. It's not uncommon to get a bingo on the first turn. I've had bingos on my opening turn plenty of times, and it's not something that should discourage anyone from trekking on because it's fairly easy to come back and win the game. After all, it's only an additional 50 points they received. And it was the beginning of the game. So, nobody was really worried. Not yet. The following turns for everyone else were a little better with TIER, HEEDS and OPEN, but nothing could prepare us for what would happen next. That team, well, they got another bingo. Okay, so what? It's been known to happen. I've had five bingos in one game before and four bingos multiple times, and I've even had back-to-back ones like what just happened. But this bingo wasn't your ordinary bingo. It was an ego crushing triple-triple worth 203 points. At first, nobody even believed it was a word, except me. I had no doubt. I've even detonated a few in my time. So, surprisingly I joined forces with this team of killers to help defend their word. I had to. Sure, somebody could have challenged them, but it was pointless and would only make our final scores even that more pathetic. And I couldn't see it go to waste, because a triple-triple is one of the rarest Scrabble moves of all time, right under the impossible triple-triple-triple score. I didn't care that it wasn't me. I was just pleased to be in the presence of all its glory. We told everyone what the word meant, and that I have personally used them before a few years ago, but the other players still had their doubts. Maybe they just didn't care anymore, because surely there was no coming back from this. A challenge could be the only thing that saves them. They had to take a chance. Finally, they said whatever and we looked it up just to prove it was a word, but it wasn't the OD green goodness we claimed it was. As you well know, the Scrabble dictionary picks the most common definition of a word when it's a homonym, so in this case it was something else. So, for this week's challenge, try and find the word that was played in the game above... the 203-point triple-triple... using the letters E, C, M, BLANK, A, R, Y. Place them on the board below (using the spot where all the lighter colored blanks are, obviously). If you read the whole article, chances are this will be an easy one for you to solve. Post in the comments if you know it. GLOAM is the highest scoring word on the board, with the G on the TLS and the M on the TLS connected to ON (spelling MON). It's 29 points total. If you're playing outside of the U.S., GLAUM would also work for 29 points. ALGUM is a close second (in the same place) with 27 points. Just in general, I love this world. whoa, this sh*t isn't for beginners. Now... Can anyone find the other triple-triple also worth 203 points? Yes... there's one more, believe it or not! You can also put CLAYMORE and SYCAMORE on the other open O, but it wouldn't be a triple-triple. Plus, there's at least 4 other words that you can put down that are 8 letters long, giving you more bingo options. They aren't triple-triples either, but they're the next best thing. And that blank can act as many different letters, including L, S, O, R, B, T and I. And there's actually a few more bingo options if you're playing using the Collins Dictionary. Close. The only triple-triples are CLAYMORE and SYCAMORE. But CREAMERY (not CREAMORY) can be spelled on the open E in LOADERS for a regular bingo play. Still a good one if not noticing the triple-triples.